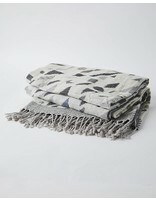 Super soft throw woven of fine blended cotton and wool yarn. 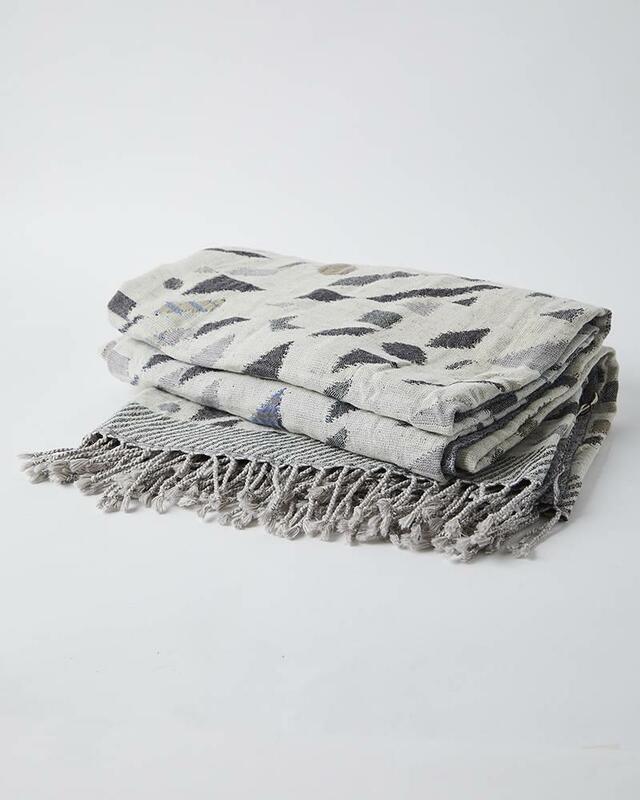 The throw's versatile two-sided design in neutral palette reverses from a subdued geometric pattern on ivory to grey, brown and blue prints on the opposite side. 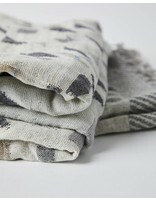 Twisted fringes on the short ends complete the inviting look of this medium-weight throw.